Christmas seamless pattern with pig, gifts, fir branches in hand drawn style. Cute little pig`s image for Chinese New Year 2019, also the year of the pig. Caption: Wealth is coming. 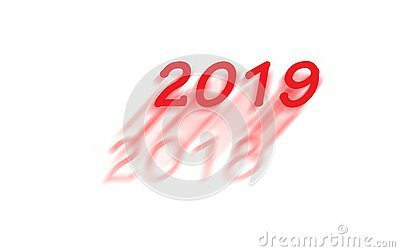 Neon sign of 2019 logo for decoration on the brick wall background. Concept of Merry Christmas and Happy New Year. Winter is coming 2019 calligraphy.